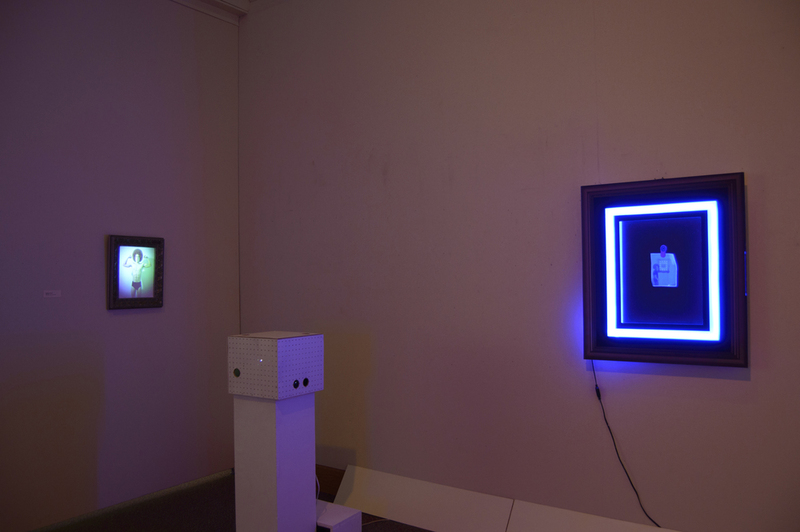 Project Description: A video documenting the process is displayed on monitor outside the gallery. 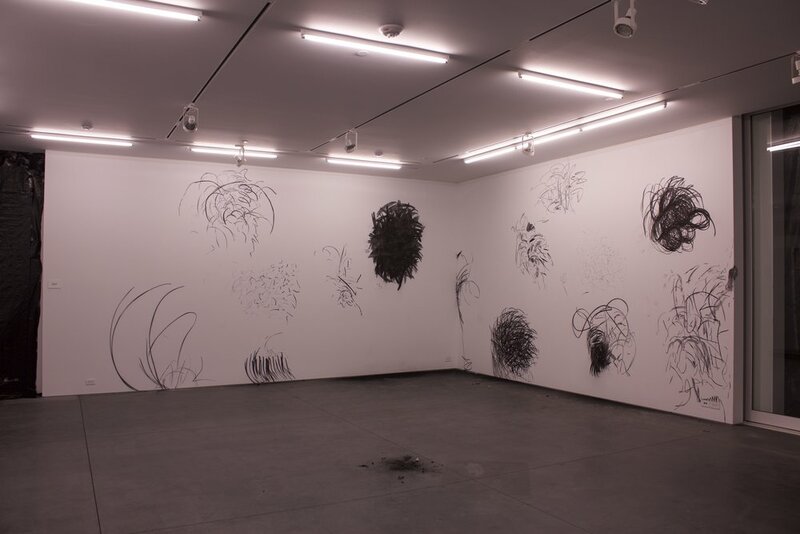 Drawings displayed inside the gallery space with lights on. 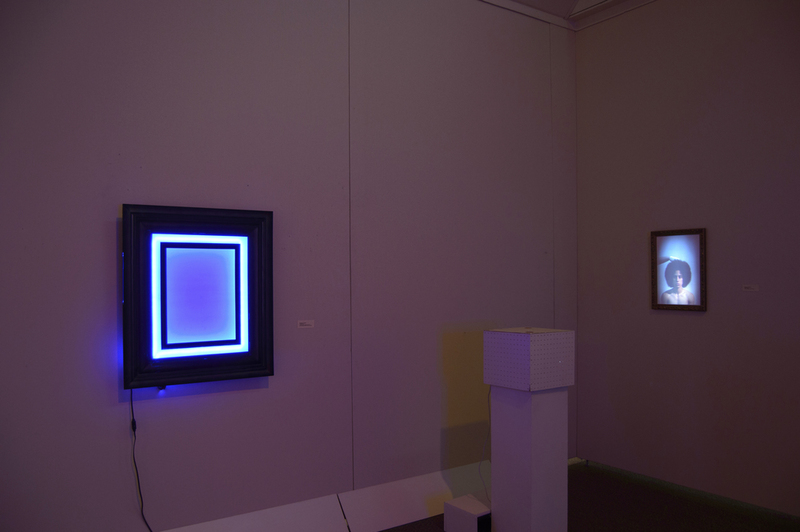 Project Description: A light-box is placed inside a room, providing the only source of illumination. For several hours I draw all over the room, including the floor. Once complete, I meticulously clean the room back to its original condition. The only remaining evidence of the performance is the video (video documentation available upon request). Untitled, 2017 (muslin, LED lights, acrylic paint, spray paint, acrylic panel). 30"x40". Sensuous Portal, 2017 (LED lights, acrylic paint, spray paint, acrylic panel, aluminum composite panel). 24"x30". Project Description: Acrylic painting completed on acrylic panels. 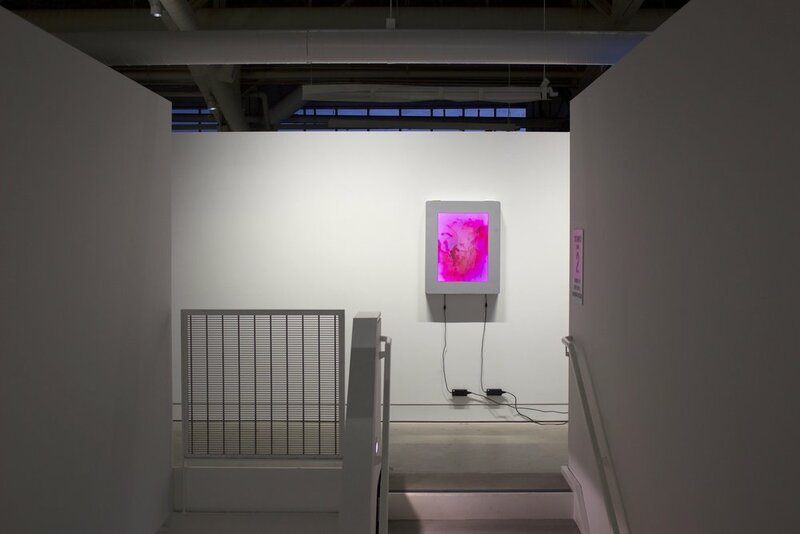 LED lights illuminate painting, shifting from the color salmon to magenta. 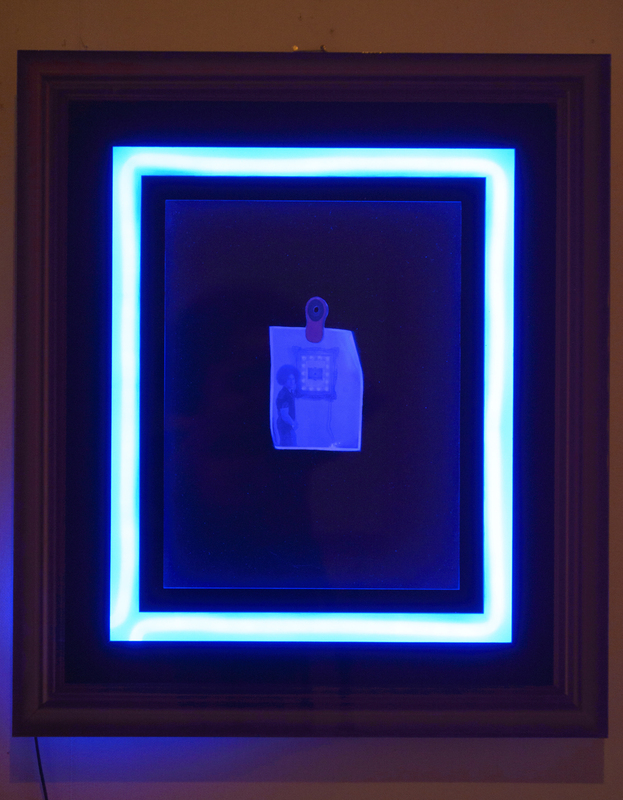 Blue Stimulus, 2017 (LED lights, spray paint, acrylic panel, aluminum composite panel). 27"x33". 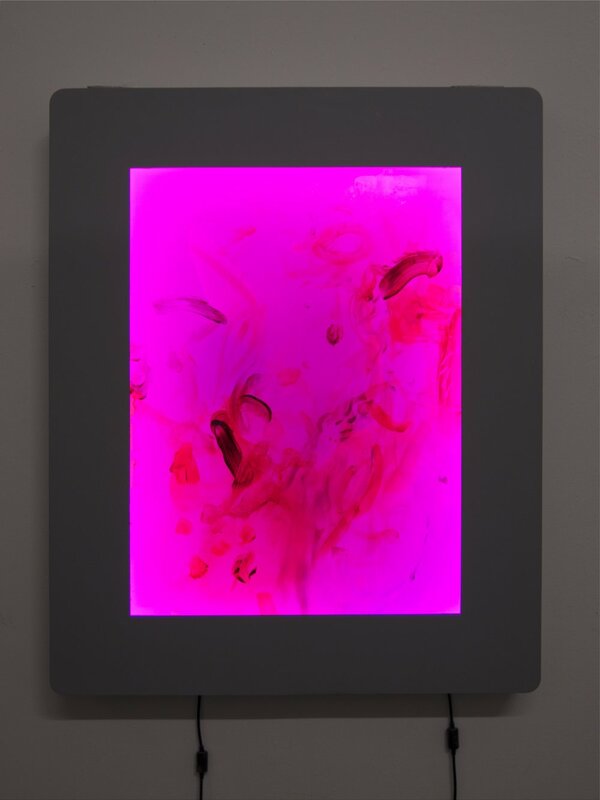 Dogpatch Mud on Lightbox, 2016 (Dogpatch mud, LED lights, spray paint, acrylic panel). 20"x24". 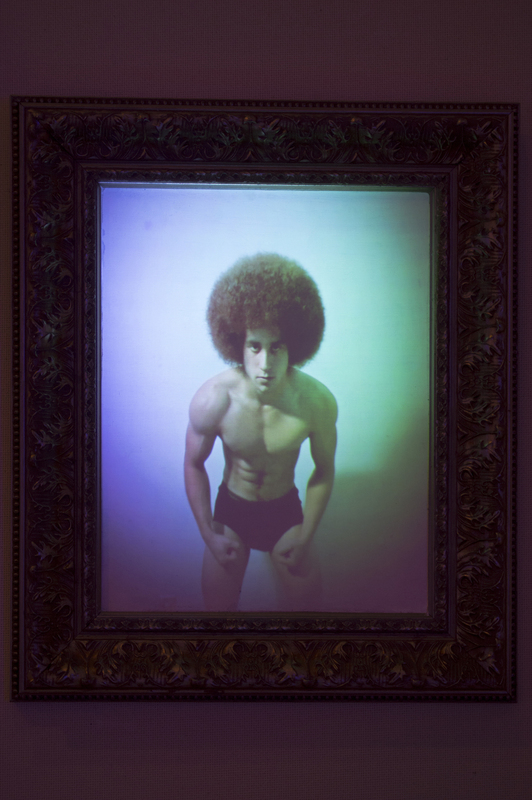 Attention Deficit, 2015 (frame is painted Trompe-l'œil-its not 'real', oil on gold leaf on panel, oil on screen print, incandescent light bulbs). 33"x38". Shame, 2015 (oil, gold leaf, and paper on panel, incandescent light bulb). 18"x24".